*) Revolutionary and affordable ! 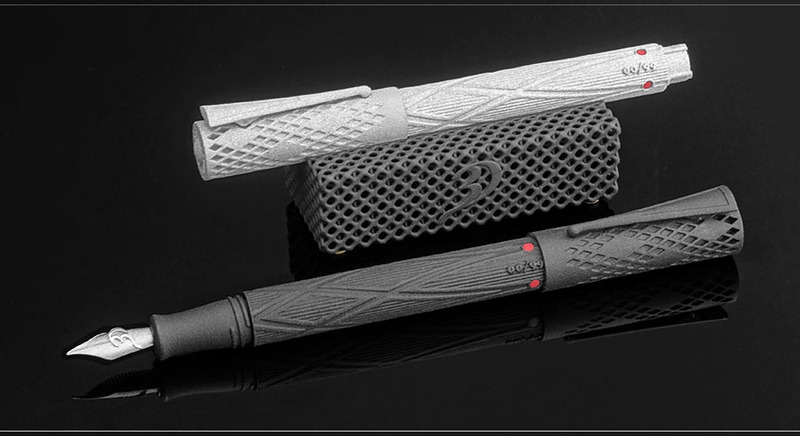 And there is the TypeONE, an affordable 3D printed fountain pen that is equipped with the world’s first 3D printed titanium nib*, a creation of Dutch designer and technologist Rein van der Mast. He came up with the world’s first 3D printed fountain pen in 2013, followed by this totally unique nib in 2016. Although new technologies are applied, the pen's creation comes from craftsmanship. Even though most tools have become digital, they still have to be guided by human hands. In addition, the finishing and adjustment of the 3D printed nib is done manually and with great care. Find out more about 3D printing, also known as additive manufacturing at Metal AM. The other visible parts are carefully designed and 3D printed in durable, strong plastics. The pen (total weight 30 grams) comes in two versions: Black and Silver Grey (made of plastic filled with very small aluminum particles for a modest sparkling effect). The nib in three: fine, medium and wide. For collectors, a 3D printed display is available. It consists of a non-uniform 3D lattice structure and is also 3D printed. Later on more designs will accompany the TypeONE, all based on the special characteristics of 3D printing, also known as additive manufacturing. The TypeONE is brought to the market by 3Dimensions: a partnership of designer and technologist Rein van der Mast with Dennis van de Graaf, owner of the renowned fountain pen shop La Couronne du Comte, and Bart Koster, owner of Promo2000 and pen distributor. • Distributors are requested to contact Bart Koster of Promo2000. 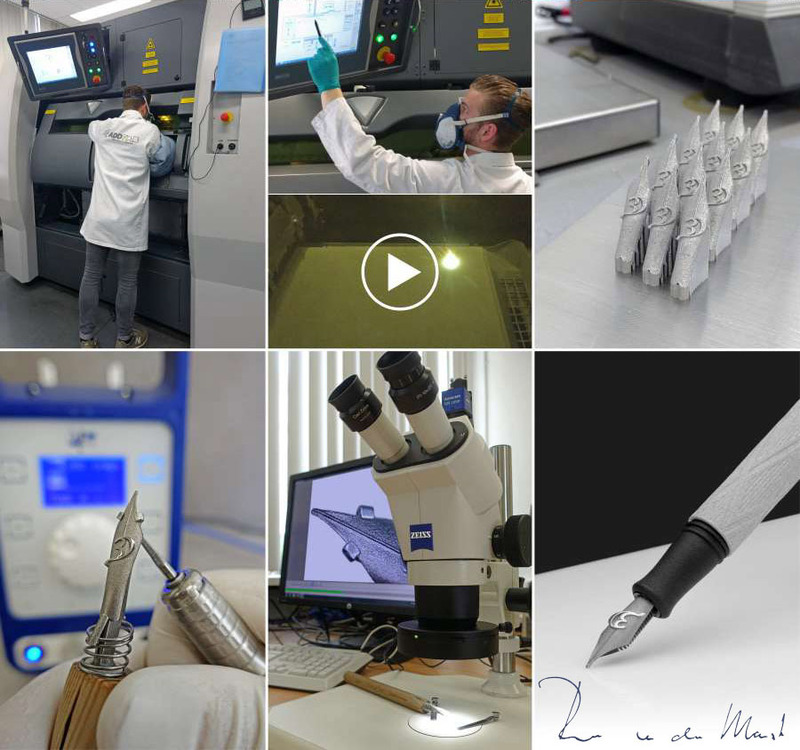 • For press inquiries and media resources, please contact Rein van der Mast of Pjotr Pens. • For general inquiries use this form. 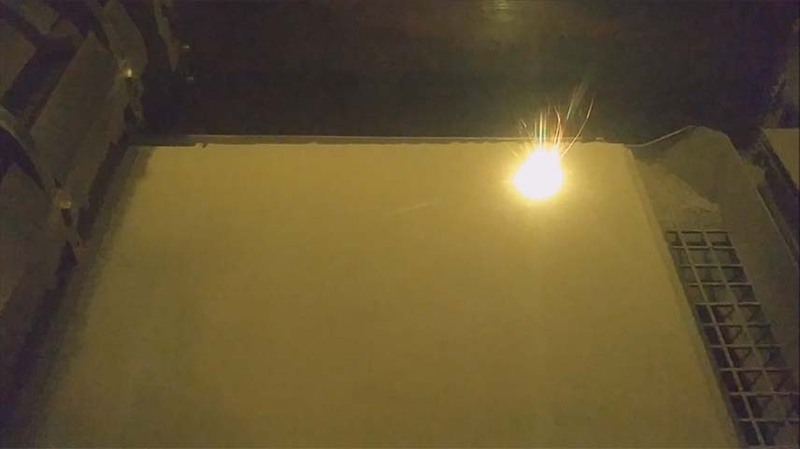 a laser is selectively melting titanium powder, layer after layer. Copyright © 2019, . Theme by XXDevsaran.